A lot of information is stored online in HTML pages. This can be books, articles, surveys, etc. Usually they are divided into multiple HTML pages for more comfortable viewing online. To make this information available for reading offline you can combine several HTML into one PDF document, gathering all parts of one document into one file. 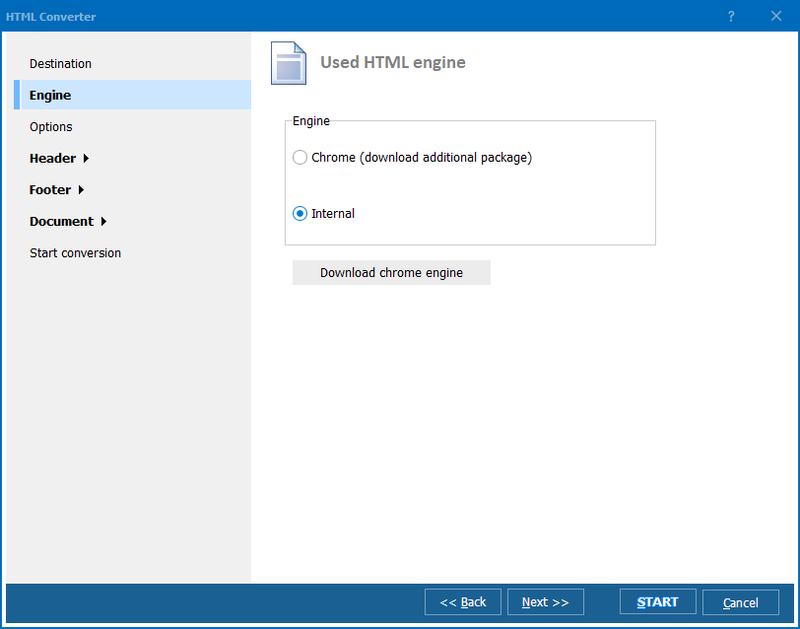 The program that can perform such conversion is Total HTML Converter. 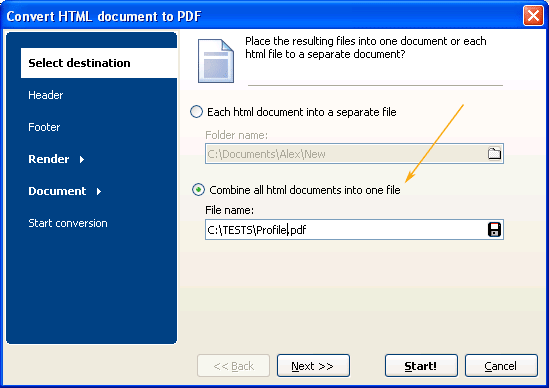 As a result the program will combine HTML files into one PDF document, compact in size and handy for viewing offline. There are a lot of additional settings for creating properly formatted PDF copy. You can edit header and footer content, add watermark, set margins, sign PDF copy. This HTML converter even allows securing PDF copy with two level password, if you want to restrict access to it. When you convert HTML files, you may not want convert various banner advertisements and images at all. To convert only text, you just need to put a mark on ‘Text’ item in Render menu of settings manager. The program will convert only text information from the chosen HTML sources. Also when you combine HTML to PDF, it is possible to set specific background for the PDF copy. For instance, you can change the background color for milder than white, it will be more convenient to read such document. All these settings are made optionally, means you can skip if unneeded. 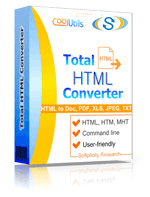 Download Total HTML Converter in free trial to test it on real HTML files. Check it right now!